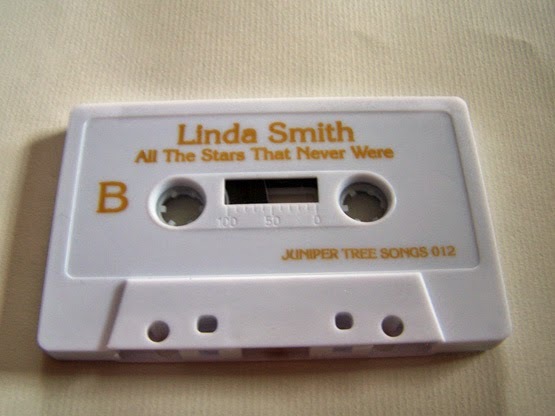 I actually saw this cassette for sale on a website that wasn't JTS (a distro, if you will) and it described Linda Smith as a lo-fi cassette pioneer who released music on cassette in the early '00's, which has often been thought of as the dark times of cassettes. And really, looking back at things it was kind of obvious as to why as well: The compact disc had taken over. 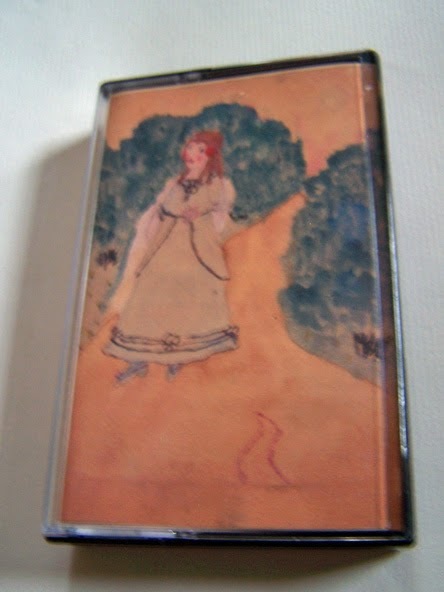 Yet, when I look at the linear notes for this cassette it puts the songs on releases between 1995 and 2001, which granted was not the heyday of cassettes by any means, but still, I do think of the hardest times for cassettes to be 2000 to only within the past five years or so maybe. In any event, these songs are great and I'm kind of surprised that I had never heard Linda Smith before now. The music is somewhere between No Doubt (Yeah, I can hear some definite Gwen Stefani, but who doesn't want to be her?) and That Dog, with something mixed in that seems more common now in cassette based music but was most revolutionary for that period. 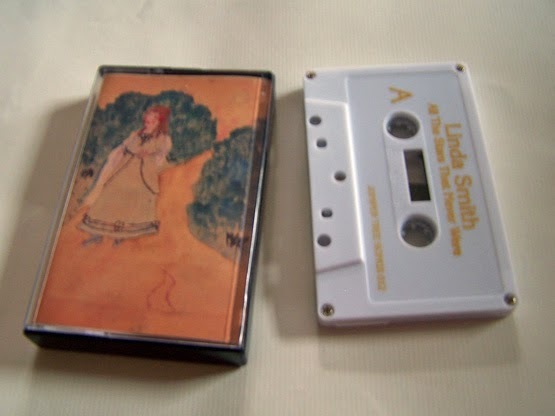 From what I gather, Linda Smith cassettes are not easy to come by and if you do find them they are not cheap. 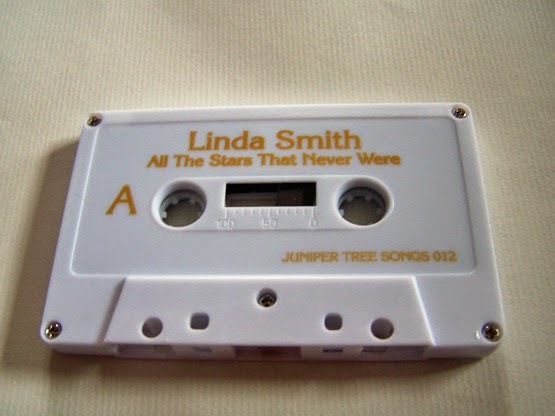 Here is to hoping that someone gains the rights/permission to produce a Linda Smith boxed set full of cassettes. 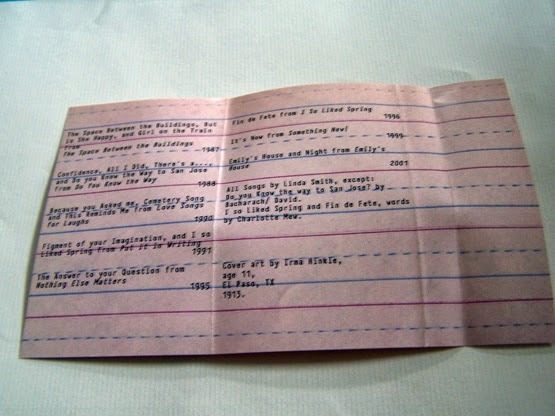 Hi - These songs were recorded from 1986 - 2001. 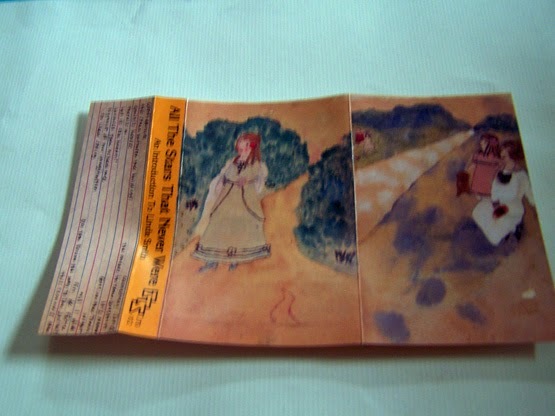 The original cassette releases were 1986-1991 and the later songs were released on cd in the late 1990's.